It’s a very unfortunate, but true fact that there are many cases where awesome movie villains worthy of great movies appear in god awful or just alright films. Sometimes those villains aren’t given the recognition they deserve based on the film they are in. So, this is my list dedicated to them, the villains that are downright beautifully written and performed, but because of the awful or alright movies they’re in, don’t get the same recognition and praise they sometimes deserve. I will agree that the Friday the 13th movies are fun, but the series as a whole is truly awful filmmaking. What can you expect from a slasher series that grew into over ten films? What can’t be denied is how awesome the villain that it spawned is. Jason Voorhees is one of the most iconic characters known to the horror genre and this list wouldn’t be complete with out him. His trademark hockey mask has got to be one of the most well-known props in film. The movie phone booth is awful from beginning to end, but for some reason I always need to watch it when it comes on. The reason is because Kiefer Sutherland is truly brilliant as the villain of the film. Basically the entire movie takes place in a phone booth with Colin Farrell in the starring role. On the other line we can hear the voice of a man whose point a large sniper rifle at our star. The Sniper is an awesome villain that never seems to get noticed. I suppose I can see why. Before 2005 when the masterpiece Batman Begins came out, Batman movies weren’t that amazing. Batman Forever was alright, I wasn’t a fan of Batman Returns and Batman and Robin is one of the worst movies ever conceived. 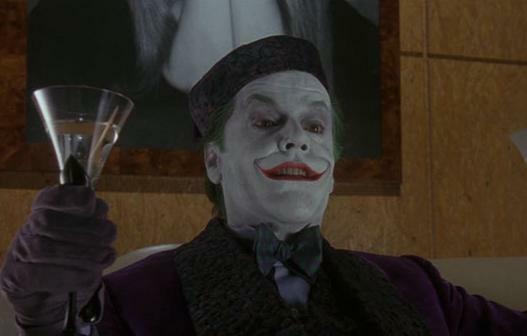 My third favorite Batman movie after Christopher Nolan’s two masterpieces would have to be Tim Burton’s original Batman. This is due in part to Jack Nicholson’s wild take on The Joker. It is nothing compared to Heath Ledger’s, but it still deserves lots of praise. 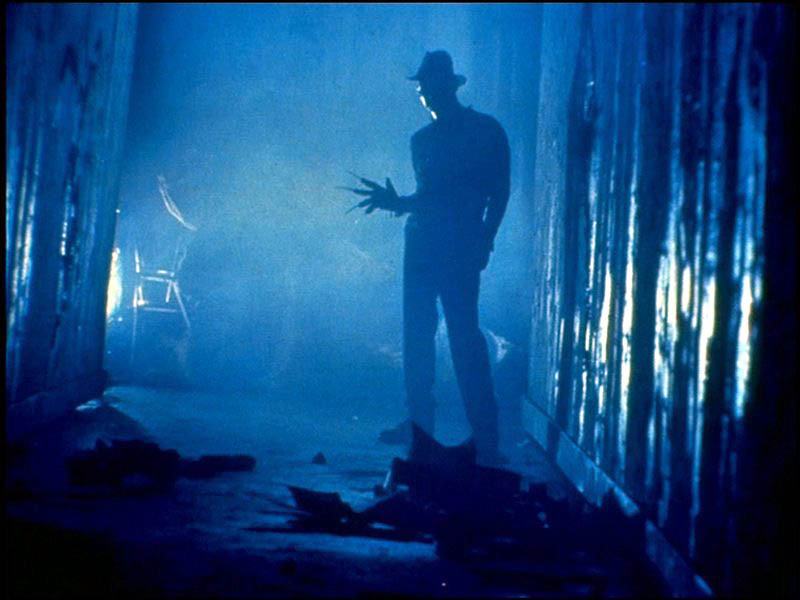 I know A Nightmare on Elm Street is considered a classic when it comes to the horror genre, but to tell you the truth, I’m not a big fan. I love the idea, but the execution wasn’t as great is its made out to be. I do however love the wickedly awesome villain Freddy Krueger. Even though he’s one of the most iconic and evil killers ever put on screen he still has brilliantly delivered dark humor. Its almost like he feels the need to not only kill his victims, but humiliate them and if that’s not villainy than what is? The “serial killer” who actually hasn’t technically killed anybody just had to be on this list. The ultimate guilty pleasure of mine is the Saw movies. Other than the first one, they are god awful, but I get unhealthy amounts of joy watching them. The joy doesn’t come from watching Jigsaw’s famous “traps” in which his victims are put to tests to see if they have the well to survive. The joy comes from the insane plot surrounding the main character and antagonist Jigsaw. He’s maniacal and sadistic, but he has good intentions in a way. Some might be surprised to see Hans Gruber on this list because most consider Die Hard to be an amazing movie. I do like Die Hard, it’s cool, but its not spectacular. It’s a certainly a fun movie, but its truly nothing special, just an entertaining action movie to me. It’s alright or as the title states “OK”. 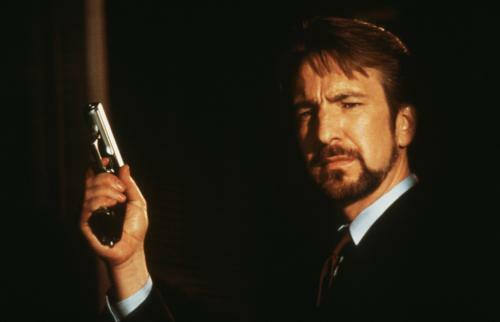 Hans Gruber however is a truly fantastic villain. A suave calculating thieve who might give his hostages some food, but won’t hesitate when he has to pull the trigger. Alan Rickman plays the character to a tee and the fact that he’s thrown off a building is made all the more pleasurable because of what basterd he truly is. I absolutely love every minute of Death Proof, but I can’t deny that its not really a good movie because Tarantino didn’t want it to be a good movie. With Death Proof he’s paying homage B-movies with insane violence and car chases. The villain of the story is downright awesome. 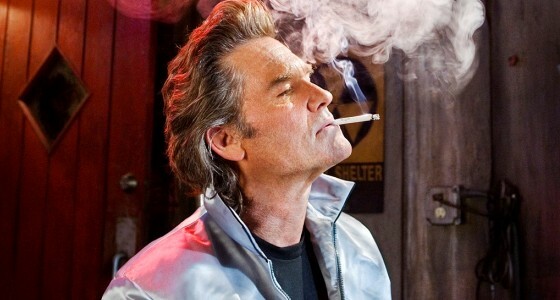 I don’t find nearly as much pleasure watching Kurt Russell in other roles than this one. Stuntman Mike is a sadistic, yet charming maniac who deliberately kills his victims with his “Death Proof” cars just because its a blast. I’ve seen The Matrix movies an unreasonable amount of time, but watching the first one recently was actually the inspiration to make this list. I just sat there as Hugo Weaving’s Agent Smith interrogated Lawrence Fishburne’s Morpheus and thought, “Holy cow, this is amazing”. Then Keanu Reeves walked back into frame and I realized why I don’t consider this movie great. 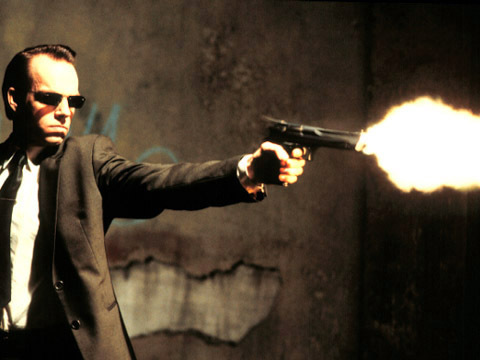 Agent Smith is such brilliantly crafted villain in one of the other films that I would consider a guilty pleasure of many. I love watching the Matrix movies, even the sequels, they’re pretty bad movies, but there’s a lot to enjoy and one of the main points is Hugo Weaving as Agent Smith. I do not like The Professional. Its an over-the-top action movie surrounding a relationship between a hitman and a twelve-year-old that is so awkward and annoying to the point of the movie becoming unentertaining. 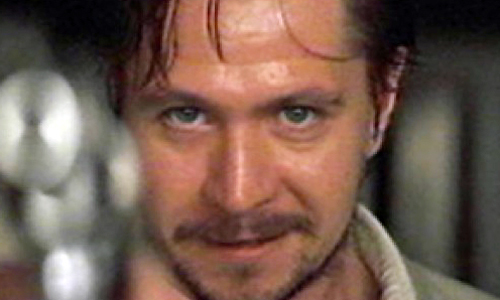 The reason it is worth watching though is because one of my favorite actors, Gary Oldman, plays the only redeeming quality of this movie and he plays him spectacularly. 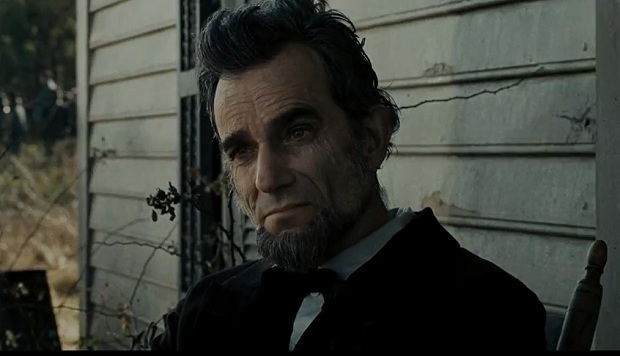 The character isn’t nearly used to its full potential, but the scenes he is in are made fascinating. He trues throw the scene like the shark in Jaws and you just can’t wait to see him again. I would’ve much rather just seen an entire movie surrounding a character study of this character. That would’ve been a brilliant film. I don’t get very much enjoyment at all out of the Harry Potter films. Maybe its just me, but sub-par execution and awful acting from the main characters don’t make for entertaining movie experiences. The series did get one thing right though, they managed to cast the supporting characters to perfection. Gary Oldman was awesome and Sirius Black, Richard Harris and Michael Gambon both made enjoyable Dumbledore’s (even though Harris was obviously better), Helena Bonham Carter is brilliant, as always, as Belatrix and Alan Rickman plays a part that he was born to play. The real treat in Harry Potter though is one of the greatest actors known to cinema playing the main antagonist. 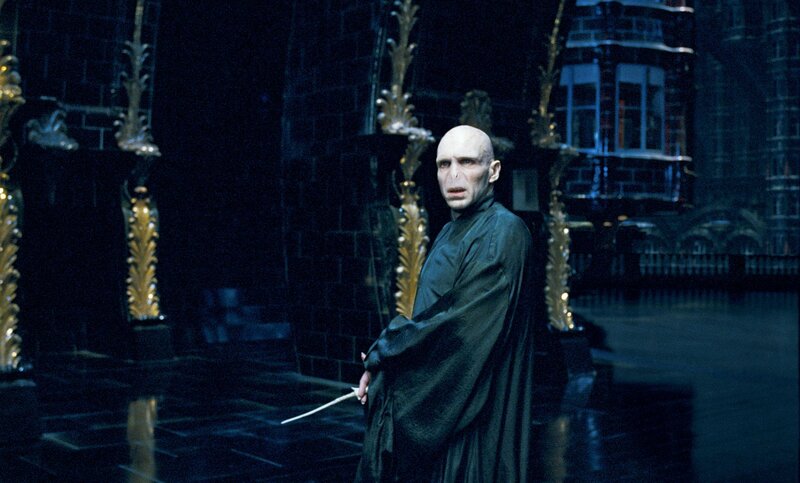 Ralph Fiennes is one of my favorite actors and like all his roles, he plays Voldemort so utterly brilliantly. Voldemort is such a dark presence on screen to the point of every other character, even his allies, feeling uncomfortable. This is because every single person he comes across knows where the true power lies. Voldemort is truthfully the only reason I go see the Harry Potter movies. If I can only catch a glimpse of Fiennes performing the character to literal perfection, than the price of admission was worth it. 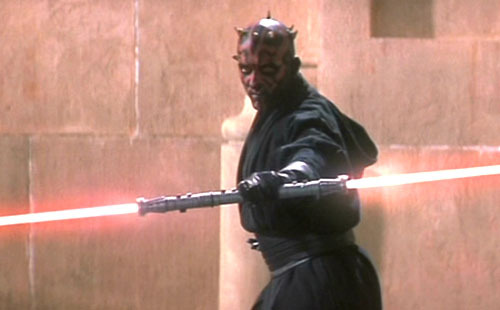 When I began writing my list of the Top Ten Awesome Villains in Bad/OK Movies I know right away deserves the top spot. Ralph Fiennes playing the villain Voldemort is simply breathtaking.